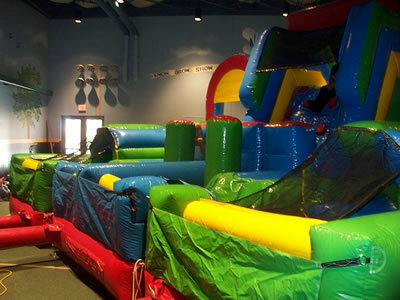 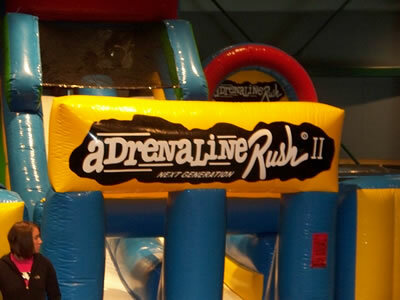 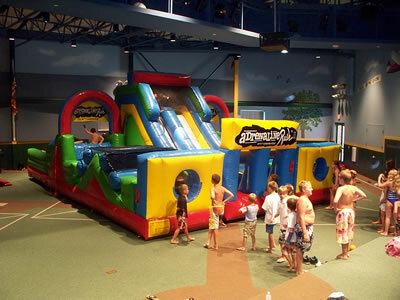 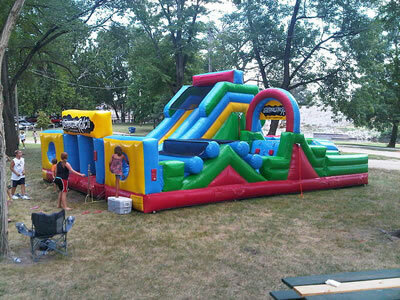 The Adrenaline Rush II is the original 360-degree, inflatable obstacle course, which offers six different activities. 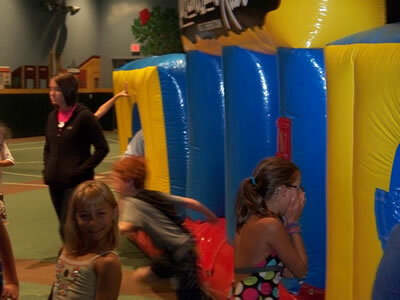 Opponents line up on each side of the inflatable, starting off with log obstacles, a rock climb, down a slide, then crawl their way through a tube to the center of the course. 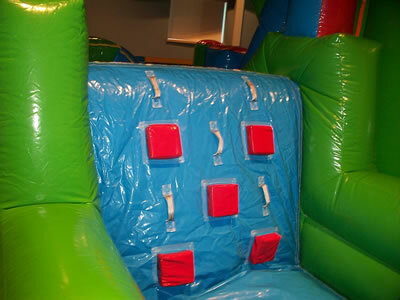 This takes players through pop ups and then to a double climb where the winner finishes at the bottom of a 10ft slide!